Let’s take a closer look at these building blocks. Learning happens on the messy journey from problem to solution. Aside from using The TEKS Resource System, hook students with a problem scenario. Match the grade level TEKS to a core content-embedded scenario. In Ben’s example, students show how they can work together. They construct a 3D physical representation of their learning by first developing construction criteria together and then adding their own positive improvements. In this way, student-architect teams achieve constructions they could not do alone. 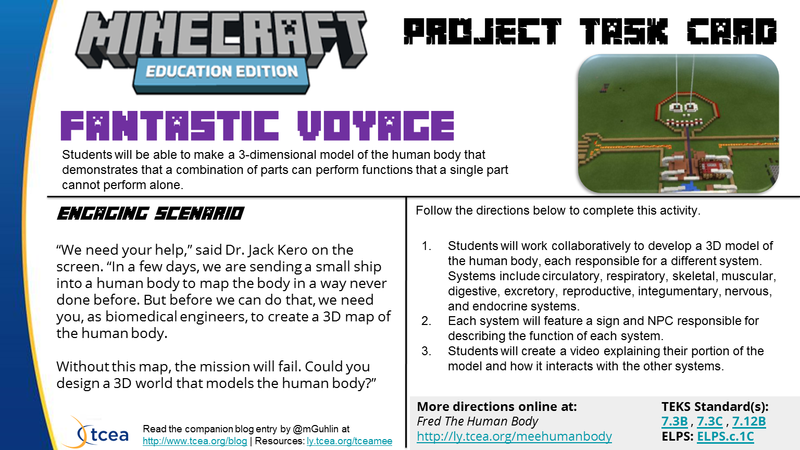 In the Project Task Card above, I adapted Lynne Telfer’s (@lynnetelfer | blog) lesson, Create Fred The Human Body! 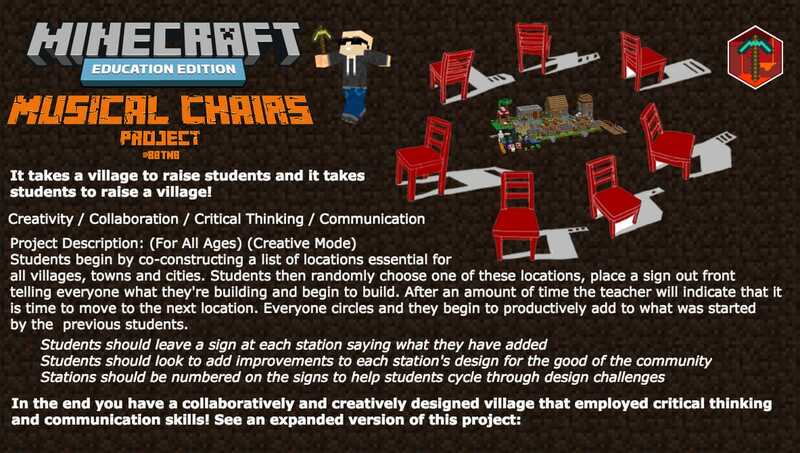 from the Minecraft: Education Edition website. In The TEKS Resource System, this science lesson for grade 7 students helps them grasp the key concept that individual components combine to perform functions as a system. During this unit, students study human body systems for the first time…They identify the main functions of the systems of the human organism. Adapt an existing assessment, (e.g. rubric) from an existing one, such as this one offered on The TEKS Resource System. To gain maximum credit, modify the rubric as shown. The 3D model of the human body is highly detailed, accurate. The model reflects the selected system with a high degree of accuracy. Each component is clearly labeled. Signs and Non-Player Character (NPC) provide functional details. Critical fluid flow is accurate and possible. Specific information on how size, scale, properties, and materials are included. 3D human body modeling is evident, analyzed, and explained. While you can teach this lesson the old-fashioned way , using Minecraft: Education Edition makes students architects of their own learning in 3D virtual environments. Research shows this is a growing future work trend (source). 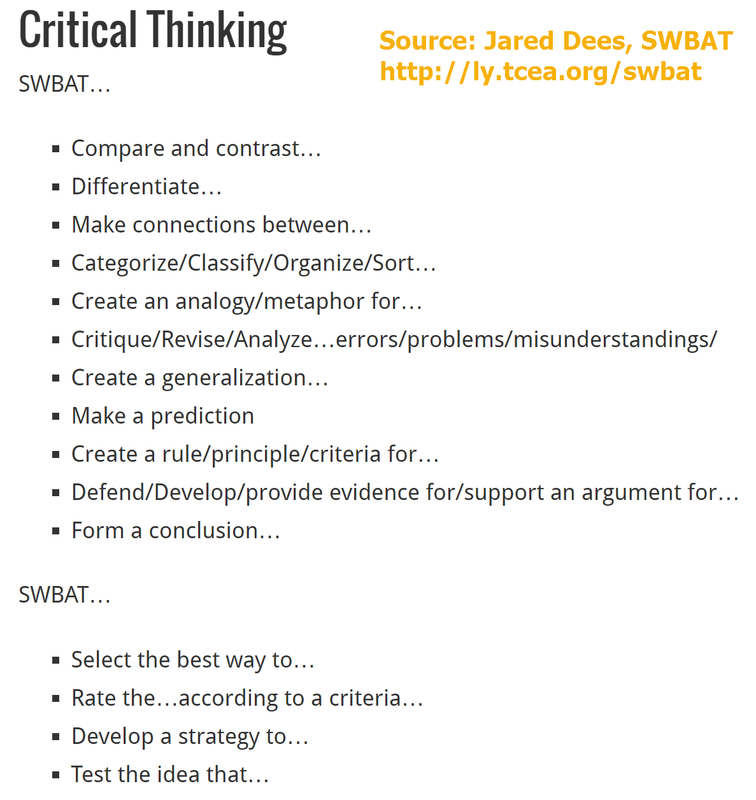 Be sure to check out these links to additional lesson ideas.